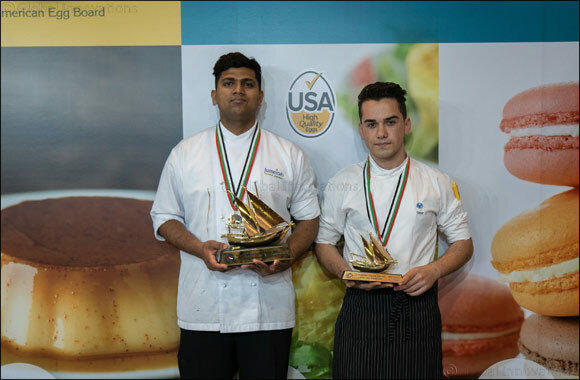 The awards for the Egg Class Competition and the Middle East Young Chef of the Year Award competitions were sponsored by the American Egg Board (AEB), the research, education and promotion arm of the U.S. egg industry. AEB’s partner, USA Poultry & Egg Export Council (USAPEEC) along with the Emirates Culinary Guild assisted with the organization and coordination of AEB’s ExpoCulinaire participation in Sharjah, UAE. The Egg Class Competition had five international and local chefs battle it out for the top spot. Mr. Jo Ingeun from South Korea, representing the Korean Cooking Art Academy, walked away with top honours, with the judges particularly by with Mr. Ingeun’s dish U.S. poached egg set on a Focacia bread topped with turkey ham for its creativity and taste. Previously part of the Gulfood exhibition, this year, The Middle East Young Chef of the Year Award was held at the ExpoCulinaire 2019. The competition aims to discover upcoming talent and encourage them to develop and improve their culinary skills. This year, Kanishka Gamage from Madinat Jumeirah’s Pool Kiosk took first place. The runner up from last year’s competition, this marks the second time Mr. Gamage has participated in the competition.